The Buddhist literature generally consists of the sayings of the Buddha and the works by subsequent scholars, which are termed as Sutra and Sastra respectively. These works pertaining to various schools are originally available mainly in three languages: Pali, Sanskrit and Apabhramsa. The Pali Canon is the canon of Theravadins for the Tripitaka of Theravadins is available in Pali. Following the terminology and norms of the Sanskrit grammarians, the Theravadins have also composed grammars of the Pali language. The present work, submitted for the award of the Ph.D. degree in Pali from the University of Pune, is an attempt to study the technical terminology and the technique of the three Pali grammars from the comparative point of view and is an initial step in making a detailed comparison of the Pali grammatical treatises with their Sanskrit counter-parts. The work presents a brief historical sketch of the Pali grammatical tradition and introduces three Pali grammars viz. the Astadhyayi, the Katantra Vyakarana and the Candra Vyakarana. It studies in all 166 technical terms classified into eight sub-sections according to the different linguistic categories such as: the phonetic terminology, the terminology related to the morphophonemic changes, the morphological terminology, etc. Each term is explained according to its definition and usage. It is then compared with its Sanskrit counterpart in the Astadhyayi, the Katantra Vyakarana and the Candra Vyakarana. An attempt is also made to trace its origin and development in the Sanskrit tradition and to compare the overall technique and different technical devices used by the Pali and the Sanskrit grammarians. The study also records some observations drawn from the data collected for this purpose. The present work reveals the fact that the Pali Atthakathas of Buddhaghosa, Buddhadatta and Dhammapala show the existence of a limited indigenous Pali grammatical terminology different from that of Sanskrit and that around 80% of the terms used by the Pali grammarians come from Sanskrit sources. While many of these are familiar from the standard grammar books (Astadhyayi, Katantra Vyakarana, Candra Vyakarana, and their respective commentaries), others are drawn from the Brahmanas, Yaska’s Nirukta, the Pratisakhyas and the Siksa literature. While there are several works studying the Tripitakas from various points of view, there are not many works doing a comparative study of the Pali and the Sanskrit grammars. Prof. Mahesh Deokar therefore deserves compliments for undertaking this type of study. The Institute intends to promote the study of Pali along with Tibetan and Sanskrit and is pleased to publish this work as a concrete step in that direction. We sincerely wish that the publication of this work will be welcomed by the readers and will motivate further study in this rather unexplored field. The present work is not my sole achievement, but rather the culmination of the efforts of many people who have aided me in innumerable ways throughout my academic career. First and foremost, I must pay my humble respects to my guides, Prof. Dr. M.G. Dhadphale provided me with an overall perspective on the Pali language, gleaned from years of painstaking scholarship in the field. Prof. Bhate has been a personal and professional support from the earliest stages of my post-graduation and I have benefited from her expertise and insights in the field of Sanskrit grammar in general and the Paninian grammar in particular. I am thankful to the (Late) Dr. Mrs. Pushpa Kale, Dr. Shilpa Sumant and Mrs. Sunila Gondhalekar for kindly preparing the audiotapes of the Pali grammatical works, which was necessary due to my visual impairment. I acknowledge the help given by Prof. Dr. Thomas Oberlies of Gottingen in acquiring the research material unavailable in India. Dr. E. Kahrs of Cambridge has inspired and guided me during my study of this vast subject. In the initial stage, he helped me by making available the necessary material for the present work. He was also kind to write a foreword to this book. I am thankful to Dr. Kahrs and Dr. Margaret Cone, for carefully examining my work and making valuable suggestions. I would also like to express my indebtedness to all the eminent scholars whose books and translations I have availed myself of in my own research, especially K.C. Chatterjee, Eivind Kahrs, S.M. Katre, O.H. Pind, L. Sarup and L.N. Tiwari. Last but not least, I must acknowledge the assistance received from my wife, Dr. Lata, who has been a great help to me in all the stages of this research; and also my parents, my brother and my in-laws who have helped me in many ways. I am grateful to Prof. Geshe N. Samten, Director, Central Institute of Higher Tibetan Studies, Sarnath, Varanasi, for showing keen interest in my research and accepting this work for publication. I am thankful to the Publication Unit of the Institute for beautifully printing this work. Dedicated to the study of their canonical literature, Theravada Buddhists produced a number of grammars of the Pali language. The Kaccayanavyakarana or Kaccayanappakarana, named after its author Kaccayana, was composed in Sri Lanka some time after Buddhaghosa, who clearly did not know of it, and before its earliest known commentary, the Mukhamattadipani, written in probably the eleventh century. The Kaccayana grammar triggered off a long tradition of commentaries, as well as a series of expanded, revised versions of it, such as the Rupasiddhi and the Balavatara. 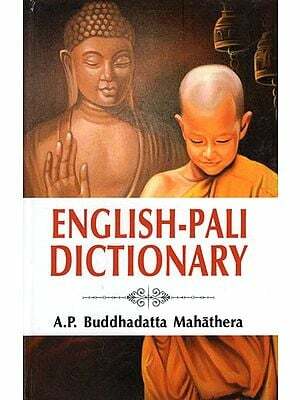 A separate school of grammar emerged in Sri Lanka through the work of Moggallana or Moggallayana who composed his Moggallanavyakarana or Saddalakkhana during the reign of Parakkamabahu in Anuradhapura, that is to say, some time between 1153 and 1186. The colophon of the work says that it was composed after Parakkamabahu had purged the Sangha of all heretical monks, an event that can be dated to 1165. As a third major work on Pali grammar we find the Saddaniti of the Burmese monk Aggavamsa who is said to have completed his monumental work in the kingdom of Pagan in the year 1154. There are claims that a copy of his work was taken to Sri Lanka a few years after its completion where it is said to have been received with enthusiastic admiration at the celebrated Mahavihara, and declared superior to any grammatical work written by Sinhalese scholars. However, no Pali commentary on it is its Burmese nissaya, a translation type of commentary paraphrasing the Pali text while adding information in Burmese. Now, if a grammar becomes influential it will inevitably affect not only the composition of subsequent literature but also the way in which earlier literature is perceived. That so little work has been done on the Pali grammarians is therefore surprising when one considers how important some of these grammars are not only for determining the state of Pali language and scholarship in twelfth century Burma and Sri Lanka, but also for diagnosing the effect they may have had on the transmission and interpretation of the Pali canon, and on the composition of subsequent Pali literature. At the time of Aggavamsa and Moggallana the Atthakathas were written, but probably not all the Tikas and certainly not the later Tikas (the Navatikas) and the Anutikas. It is accordingly likely that the Pali we encounter today is a function of the Pali of the twelfth century and that knowledge of the Burmese and Sinhalese philology of the time is indispensable if we are to arrive at a Pali of linguistic interest, to use a phrase coined by Helmer Smith, the editor of the Saddaniti. This also leads us to the crucial question of what sources influenced the Pali grammarians. The short answer to this is simple. Different though they may be in scope and in style, the Pali grammars are all heavily indebted to the glorious traditions of Sanskrit vyakarana, grammar and philosophy of language. The Kaccayana grammar is strongly influenced by the Paninian tradition and by the Katantra, a Buddhist Sanskrit grammar. Drawing upon earlier Pall grammars and the sources built upon by them, the Moggallanavyakarana is in addition heavily influenced by the Candravyakarana of the Buddhist grammarian Candragomin. Aggavamsa, in turn, incorporated most of the non-Vedic rules of Panini’s Astadhyayi as well as all the Kaccayana rules and most of the material from the Kaccayanavutti, which would also incorporate the influence of the Katantra. Aggavamsa too knew of the Candravyakarana, but maybe more importantly he was clearly familiar with a tradition going back to the Kasikavrtti. It seems possible to assume that he also knew of one or both of its commentaries, the Nyasa and the Padamanjari. Moreover, he drew heavily on Bhartrhari’s Vakyapadiya, probably through Helaraja’s commentary. Aggavamsa also discusses varttikas met with in Patanjali’s Mahabhasya, and makes use of different sections of that text for various purposes, possibly via access in some form to the commentary of Kaiyata, the Pradipa. Tracing such sources and influences, and determining the usage of technical terms and techniques is not straightforward, and there remains a lot of work to be done. Now, the grammarians employ only the instrumental case in the domain of bhava, such as thiyate, bhuyate, etc., as in: ‘surely a wandering monk should be well dressed, properly covered, suitably attired’, etc. Therefore, on their view, in the expression tena ubbhaviyate it should only be constructed with the instrumental case. But on the view of the Jina [it should be constructed] only with the nominative as in so bhuyate. For in the Saccasamkhepappakarana by the teacher Dhammapala, in the text of the Niddesa by Dhammasenapati, and in the Dhajaggasutta by the Blessed One, a bhava-word has been stated with [a syntactic] expectancy for the nominative case. Aggavamsa himself refers the example so bhuyate to the Saccasamkhepa, a text that belongs to a group of Abhidhamma manuals known in Burma as Let-than, the Little-finger Manuals. Its author, Dhammapala, is hard to identify and date, but it seems clear that he must be reasonably close to Aggavamsa in time. This makes it likely that the type of Pali employed by Dhammapala must be reasonably close to that used by Aggavamsa and it is therefore surprising that he quotes this puzzling example without reservation. Normally he takes his examples from canonical literature. The form bhuyate occurs at Saccasamkhepa 63d, and is in fact the only occurrence of the form bhuyate in this text. The verse, which seems to deal with rupa (cf. verse 40), ends: aggijadi pubbe va bhuyate ‘[rupa] that is produced by fire is already existing’ (?). A passive form of the verbal root bhu, if that is what we are dealing with, is in any case hard to distinguish from an active one in meaning. Few scholars today are better equipped to undertake and guide serious study of the Pali grammarians than Professor Mahesh Deokar, and that his work is published and hence made available to the scholarly community represents a landmark in Pali scholarship. Such a thorough study of the technical terms and techniques of both Pali and Sanskrit grammars takes the study of the Pali significantly forward and lays the foundations for other scholars to continue work in this field. It also bodes well for the future of Pali studies in India, now significantly enhanced by the establishment of a Department of Pith in the University of Pune, with Professor Deokar as its Chair. In 1863, James Elwis wrote an introduction to Kaccayana’s grammar, which marks the beginning of the modern study of the indigenous Pali philology. In 1871, E. Senart published a critical edition of the complete Kaccayana grammar. In this edition, the sutras were given in the Devanagari script whereas the commentary was in the Roman script. It included a French translation of the text and critical notes. This was an important work. However, it had its own limitations as a number of Pali texts including the important grammatical works and their commentaries were still unpublished. In 1882, G. E. Fryer wrote an elaborate note on the Kaccayana (Kacc) in the Proceedings of the Asiatic Society of Bengal. In 1902, R. O. Franke wrote an outline of the history and the development of the indigenous Pali grammars entitled ‘Geschichte und Kritik der einheimischen Pali-Grammatik und -Lexicographie’. This monograph though important had its own limitations because at that time Franke did not consider some important grammatical treatises, namely, the Mukhamattadipani (Mmd), the Kaccayananiddesa (Kacc-nidd), the Moggallinapanjika (Mogg-p) etc. His work was mainly based on the Kacc, the Kaccayanavutti (Kacc-Vu), the Rupasiddhi (Riip), the Moggallanavyakarana (MV), the Moggallanavutti (MVu), and fragments of the Saddaniti (Sadd). The limited textual basis of Franke’s study sometimes made him draw conclusions, which are no longer valid. Since then, a number of important works on the Pali grammar have been published. During 1928-1930, H. Smith published his monumental work ‘Saddaniti La Grammaire Palie D’ Aggavamsa’ in three volumes. During 1949-1954, Smith supplemented his critical edition with two volumes of tables comprising a. lists of texts quoted (Index Locorum), b. suttas (Index Aphorismorum), c. verbal roots (Index Radicum), d. various elements of word formation (Index Formantium), e. the very useful conspectus terminorum (sannamalika) and metricorum, and f. an index to the whole work (Index Verborum). The last, i. e., the index was incomplete and was completed later by N. Simonsson in 1966. In 1931, the grammar of Kaccayana was published in the Thai Script, bearing the title Kaccayanamulam Nama Pakaranam. It contains Suttas, Vutti and the Dhatupatha, with a translation of the Suttas in Thai, by Phravisuddhisombodi. In 1940, S. M. Katre published his study of the Pali Dhatupathas in the Bulletin of the Deccan College Post Graduate Research Institute, Pune. In the same year, Bhikshu Jagadish Kashyap wrote Pali-Mahavyakarana, a lucid explanation of the rules of the Pali grammar on the basis of the Moggallana Vyakarana. In 1957, L. Renou published an article comparing the Kaccayana Vyakarana with the Katantra Vyakarana. In 1962, Visuddhacara published a Burmese commentary on the Kaccayana Vyakarana entitled Kaccayana-Suttattha. In the same year, L. N. Tiwari and Birbal Sharma published Kaccayana Vyakarana with a Hindi translation. This book is extremely useful for the study of the Kacc, because of its scholarly annotations and appendices comparing the rules of the Kacc with that of the Katantra and the Astadhyayi. In 1967, A. K. Warder translated two short passages pertaining to metrical problems.’ In 1971, Y. Ojihara, with a ‘note preliminaire’ by C. Calliat, compared a chapter of the Saddaniti (kibbidhanakappa, pariccheda 26) with ‘donnees panineennes’. In 1977, a Thai scholar studied the finite verb system in the Kacc for his M. A. dissertation. In 1979, another Thai scholar Bunyamalik Tongpoon worked on the sandhi and the samasa of the Kacc, which was published by the Chulalongkom University, Bangkok. In 1988, Phramaha Somjai translated the Padarupasiddhi in Thai. In 1989, Chamnanrua Bamroong published a study of the primary derivatives in the Saddanitipakaranam. This was followed by a study of the secondary derivatives in the Rupasiddhi by Chaisuwan Prachok in 1990. In 1991, Tin Lwin wrote an article giving a brief, general introduction on the Saddaniti, including its date and authorship. In 1992, E. Kahrs published a monograph on the Saddaniti’s Karakakappa (A section dealing with syntax) ‘Exploring the Saddaniti’. Here he makes a detailed analysis and comparison with other works on Sanskrit and Pali grammar and tries to trace its sources. Recently, from 1989 onwards, O. H. Pind has published some articles on the history and the development of the indigenous Pali philology. The first among them is ‘Studies in the Pali Grammarians, I’. In this article, he studied the grammatical analysis found in Buddhaghosa’s works and tried to find their sources. According to him, “whenever Buddhaghosa refers to grammar or grammarians in support of his analysis of a grammatical or sernantical problem in the Pali, he is referring to Paninian grammar’ (Pind 1990:175). This was followed by another article ‘Studies in the Pali Grammarians, 11.1’ in the year 1990. In this article Pind deals with some more cases of Buddhaghosa’s syntactic analysis found Samantapasadika and the Paramattha-jotika. In the same article, he also studies the grammatical analysis found in Mahanama’s commentary on the Patisambhidamagga and Buddhadatta’s commentary on the Buddhavamsa to show nature of the grammatical references that occur in the post-Buddhaghosa Pali Atthakathas reflect a wider variety of sources and influences than in the case of Buddhaghosa’s grammatical comments (Pind 1990:177). In 1995, in an article entitled ‘Pali Grammarians: The Methodology of the Pali Grammarians’, Pind studies a couple of examples of the methodology of the Pali grammarians to show the tendency among Pali grammarians to refer to the canon or the atthakathas when discussing phonological, morphological, or syntactical problems of the Pali. Responding to H. Smith’s claim that the indigenous Pali grammars of the 12th - 13th century A.D. are likely to have exerted a considerable influence on the contemporary Theravada scribes, Pind concludes saying that ‘there is no proof that the grammatical literature has had any influence on Theravada scribes: in spite of major divergences, Pali literature is remarkably consistent, as shown by the many canonical quotations in the grammatical literature” (Pind 1995: 297). In another article ‘Pali Grammar and Grammarians From Buddhaghosa to Vajirabuddhi’, written in 1997 Pind takes the historical review of the development of indigenous Pali philology from Buddhaghosa up to Vajirabuddhi. All these articles arc very important as they shed considerable light on the development of the Pali grammatical tradition. In 1997, Phramaha Thiab Malai completed a doctoral dissertation entitled ‘Kaccayana - Vyakarana: A Critical Study’ submitted to the University of Pune providing an annotated translation of the Kacc. 1. The Pali Text of Kaccayana’s Grammar, by F. Mason, The Karen Institute Press, Toungoo, 1870. 2. Moggallana-vyakarana (Sinhalese Script), by Devamitta Thera, The Lankabhinava Visruta Printing Press, Colombo, 1890. 3. Kaccayana’s Pali Grammar, by S. C. Vidyabhusana, The Mahabodhi Society, Calcutta, 1901. 4. Kaccayana Vutti, (Sinhalese script) by the Ven’ble Dhammakirti Sri Dharmarama, Fedrick Perera Ahayasinha Appuhamy, Colombo, 1904. 5. Kaccayana-Vannana (Burmese Script), by Visodhakasamiti, Pyi-Gyi-Meit Sway Press, Rangoon, 1906. 6.The Mukhamattadipani, by Terunnanse, Weliwitiye siri Dhammaratana, H. C. Cottle, Government Printer, 2nd Edition, Colombo, 1910. 7. The Pali Dhatupatha and The Dhatumanjusa, by D. Anderson and H. Smith, Copenhagen, 1912. 8. Kaccayana, (Sinhalese Script) by Gunaratana Thera, Venerable M., M. U. Subseris Perera and B. L. Perera, Colombo, 1913. 9. Moggallana-vuttivivaranapancika (Burmese Script), by Aggadhammabhivamsa, Buddhasasanasamiti, Rangoon, 1916. 10. Moggallana-nvadi-vutti (Sinhalese Script), by Dharmananda Nayaka Sthavira Moggallana, Saccasamuccaya Press, Colombo, 1929. 11. Moggallana-pancika (Sinhalese Script), by Dharmananda, Nayaka Sthavira, Satya Samuccaya Press, Colombo, 1931. 12. Nyasa-Patha (Burmese Script), by Sayayan, The Thudhammavadi Press, Rangoon, 1933. 13. Moggallana-pancika-tika (Burmese Script), by Aggadhammabhivamsathera, Zabu Meit Swe Press, Rangoon, 1955. 14. Maharupasiddhi (Sinhalese Script), ed. by Kalukondayave Siripannasekharabhidhana Mahanayakathera, (With Maharupasiddhi tika by Buddhappiya), M. D. Gunasena Co. Ltd., Colombo, 1964. 15. Saddaniti-pakaranam (Suttamala), (Burmese Script), by Visodhakasamiti, Buddhasasanasamiti, Rangoon, 1964. 16. Padarupasiddhi-tika (Burmese Script), (in Pali), Ed. Visodhakasamiti, Buddhasasanasamiti Press, Rangoon, 1965. 17. Padasadhanatika (Burmese Script), by Aggadhammabhivamsa, Thanavati Press, Mandalay, 1966. 18. Payogasiddhi, by Nanaloka, Mahathera, Kodagoda, The Cultural Council of Sri Lanka, Colombo, 1974. 19. Kaccayanaveyyakaranam (Thai script), by Dhammananda Thero, Lampang, Thailand, 1978. 20. Saddaniti-pakaranam, 3 Vol.s (Thai Script), The Bhumibalo Bhikkhu Foundation, Bhumibalo Bhikkhu Foundation Press, Bangkok, 1978-80. 21. Padarupasiddhi, (Thai Script), Ed. Siri Petchai, Ministry of Education Religious Affair, Bangkok, 1984. 22. Padarupasiddhi Plea (Thai Script), Translation in Thai by Phramaha Somjai, Ministry of Education Religious Affair, Bangkok, 1988. 23. Kaccayana-Nyaso, by Bhikkhu Satyapala, Sham Printing Agency (Amara Printing Press), Delhi, 1991. 24. Padartipasiddhi Plea lea Adhibai (Thai Script), by Niruttisaddavidu gana, Usha Printing Press, Bangkok, 1992. From the above description, it is quite evident that barring the researches of L. Renou and E. Kahrs, there is hardly any attempt to make a detailed comparison of the Pali grammatical treatises with their Sanskrit counterparts. The present attempt to study the technical terminology and the technique of the Pali grammarians from the comparative point of view is an initial step in this direction. It is a part of a broader comparative study of the Pali and the Sanskrit grammatical treatises. The work is divided into three chapters. Chapter One presents a brief historical sketch of the Pali grammatical tradition and introduces three Pali grammars viz, the Kaccayanappakarana, the Saddaniti and the Moggallana Vyakarana along with the three Sanskrit grammars viz, the Astadhyayi (Ast), the Katantra Vyakarana (Kt) and the Candra Vyakarana (CV). Chapter two deals with the technical terminology used by the Pali grammarians. In all 166 technical terms are classified into eight sub-sections according to the different linguistic categories such as: the phonetic terminology, the terminology related to the morphophonemic changes, the morphological terminology, the terminology denoting the parts of speech, the terminology denoting syntactic relations, the terminology denoting complex formations, the terminology denoting various grammatical concepts and the miscellaneous terms. Each term is explained according to its definition and usage. It is then compared with its Sanskrit counterpart in the Ast, the Kt and the CV. An attempt is also made to trace its origin and development in the Sanskrit tradition. Chapter three compares the overall technique and different technical devices used by the Pali and the Sanskrit grammarians. Chapter four records some observations drawn from the data presented in the foregoing chapters. The present investigation has its own limitations as it is confined only to the study of the technical terminology and technique. Some observations made at this stage may not be conclusive for want of further investigation. However, I hope that the information, explanations, conclusions and errors of this work will motivate further study in this rather unexplored field. The origin of the Pali philology can be traced back to the time of the Atthakathas (the Pali commentaries on the Tipitaka). The Pali Atthakathas of Buddhaghosa, Dhammapala and Buddhadatta contain occasional discussions on a syntactical problem, a particular construction or the derivation of a particular word or the like. It is possible to show that in substance these discussions presuppose the Paninian grammar. The main feature of this type of discussions is that they identify syntactical or other features of Pali with similar features of Sanskrit (Sakkatbhasa) described by P in his Ast. This in turn rules out the possibility of the existence of any pre-Buddhaghosa Pali grammars, as is believed by scholars like Franke and others. It is, however, surprising that many of these important observations made in the Atthakathas did not receive due recognition in the early grammatical literature. Later when the grammatical tradition developed, some of these analyses were absorbed in the treatises of Mogg and Agg, for instance, Buddhaghosa’s analysis of the syntactical constraints on the tense of the verb when constructed with the sentence complements atthi nama, katham hi nama and yatra hi nama is incorporated by Mogg and Agg at MV 6.3 and Sadd 893 respectively. Similarly, Buddhaghosa’s analysis at Vism 216, 4ff of the series of words ending in -ika occurring in a sentence svakkhato Bhagavata dhammo sanditthiko akaliko ehipassiko opanayiko paccattam veditabbo vinnuhi ti was also incorporated by Mogg and Agg at MVu 4.29 and Sadd 764 respectively. But there are still many interesting observations, which did not receive a place in these Pali grammars. These occasional grammatical discussions found in the Atthakathas mark the initial phase of the Pali philology. The second phase is marked by the emergence of the indigenous Pali grammatical literature. It begins with the compilation of K’s grammar (6th to 7th century A.D.). The subsequent grammarians tried to improve upon the Kacc by formulating new rules, or reformulating the rules embodied in the Kacc or the Kacc-Vu, so as to improve upon their grammatical description of many phonological, morphological and syntactical features. This was done on the basis of a comprehensive collection of examples from the canonical and the post-canonical literature. There are a number of post-Kaccayana treatises such as the Mahanir, the Cul-nir and its commentary the Manj, the Nir-pt, the Sangaha, the Mahasandhippakarana and the Culasandhi, which are no longer extant but are occasionally referred to in works such as Vajirabuddhi’s Mmd, Buddhapiya’s Rup, the MV, the Mogg-p, and the Sadd. It appears that these treatises though lost, had a great impact on the subsequent Pali grammarians. For instance, Patanjali’s Manj, a text, which was written in the form of karikJs modeled after Bhartrhari’s Vakya has influenced the description of the karaka system in the Rup and the Sadd. This process of evolution reached its peak in the second half of the 12th century A.D. with the compositions of the MV of Mogg and the Sadd of Agg. What followed thereafter was a creation of a number of commentaries and sub-commentaries modeled on these three texts. The Kacc-nidd - no doubt the most important source of information on the grammatical literature in the 13th century A.D. - quotes as many as 24 grammatical treatises’ in addition to the well- known works like the Mmd, the Rup, the Sadd and the MV. Out of these, the Atthavyakhyana of Culavajira and the Mukhamattasara of Gunasagara are also mentioned in the Gv. The latest in this series is the Vacakopadesa, which is composed in the first part of the 17th century A.D. We have provided a list of eighty-two known grammatical works in the appendices one to four. 1. It presents itself as a complete and an independent grammatical system having its own set of ancillary texts such as dhatupatha, ganapatha and nvadivrtti. 2. The Pali grammars follow the basic structure of the Sanskrit grammar and draw heavily upon them in the matter of technique, technical terminology, grammatical concepts and the manner of description. However, their merit lies in the fact that they are written in the light of the canonical and the post-canonical literature and there is a growing tendency of relating themselves with the existing usage. 3. 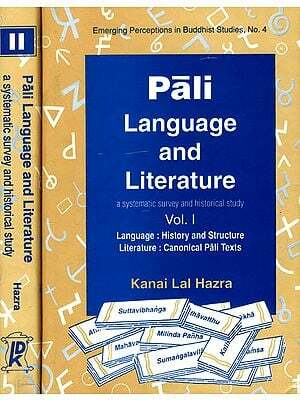 Unlike the grammars of the Prakrit languages, these grammars deny the historical relation between Pali and Sanskrit and try to depict Pali as a language independent of Sanskrit. Note that the Prakrit grammars such as Vararuci’s Prakrtaprakasa describe the Prakrit languages in the contcxt of Sanskrit with a view that they evolved out of Sanskrit. One obvious drawback of this denial is that the Pali grammarians failed to explain some grammatical phenomena, which were a result of that relation. For instance, they could not explain why the initial syllable of some verbal roots is duplicated when they are preceded by a vowel, e.g., niggaho, paggaho etc. The well-known reason for this phenomenon is that the underlying Sanskrit roots begin with a cluster viz. ni + grah and pra + grah.